BACK ON THE MARKET, BUYER FINANCE DIDN'T GET FINAL APPROVAL - Now is your change to get the best deal in the area. 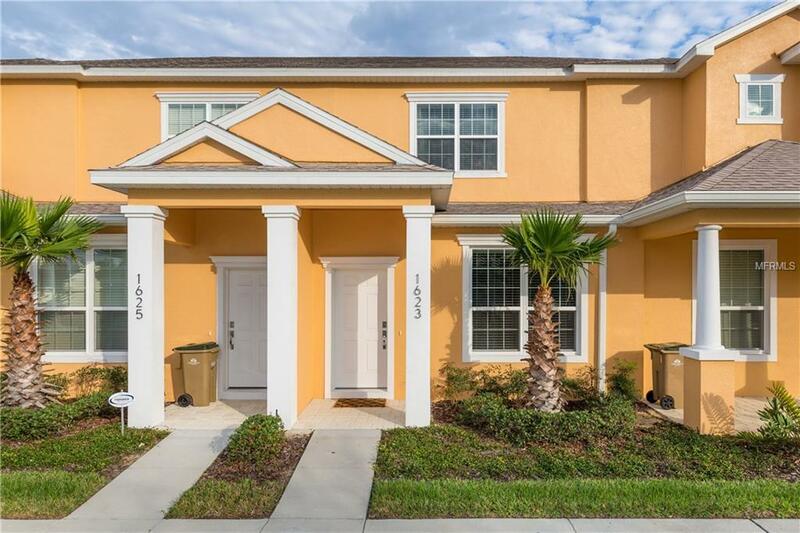 Great 3 bedrooms, 3 full bathroom townhouse, located in The Retreat at Silver Creek Community in beautiful Clermont. just 10 minutes from Disney World parks, professionally furnished and already with several short term rental reservations in place. Eco friendly builder with high performance AC system, spray foam insulation in the attic and solar power street lights. Beautiful interior with high ceilings, granite counter tops and high end quality kitchen and bathroom cabinets, Energy Star Rated Stainless Steel appliances and a private heated splash pool. The beautiful Clubhouse includes a fitness center and covered outdoor seating with resort style solar heated community pool. This community is nestled on a quiet community but only about 10-25 minutes to all the parks, 5 minutes to supermarkets, Walmart and restaurants. This would make a great second home, primary residence or a great investment property. Schedule your showing before it is gone.